Besides the usual bug squashing, this week our developers made significant progress in terms of quality assurance and testing. We’re implementing a version and release management process for all our products, not just counterpartyd, increasing the unit test code coverage daily and working on the development of a new desktop wallet. Developers have started working on the PyQT5 GUI for counterpartyd. The first version of the desktop wallet is expected to be released by the end of the month, while the application framework and basic features have already been developed. Please note that the current implementation only works for OS X. The code is being hosted on GitHub in our counterparty-gui repository. We will keep you updated on the progress, as well as on any documentation development. In order to improve the release process of our products and facilitate installation and upgrades for our users we introduced release tags for Counterwallet, counterblockd and counterpartyd_build. This way users will always know which version of those systems is current, which versions are compatible, and so on. In addition, every release will be accompanied with a Release document outlining main changes and fixes. As announced in our community update, we have released a new version of Counterwallet: 1.6.0. Following the release tags implementation, Counterwallet has been updated to the latest version of counterpartyd: v9.49.3 and counterblockd: 1.0.0. The new version has significant enhancements, such as full multisig support, free numeric asset and dividend fee support, better internationalization, and enabled packaging in Linux. When it comes to removed features, as previously discussed, the new version no longer has BTC trading, Callback and RPS support. In addition to feature changes, v1.6.0 has numerous bug fixes which you can review here. The full list of changes implemented in the release is available here. counterpartyd_build has also received a lot of changes and fixes in the past week and has been tagged with the version 1.0.0. 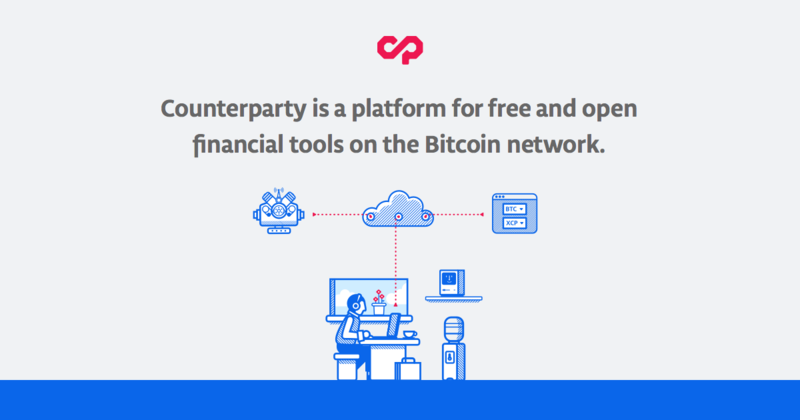 Release notes are available at counterpartyd_build/releases. We started a discussion on GitHub on whether to replace the current SQLite3 database engine with LevelDB. Since this will be a major change, we would like to invite developers whom this might concern to join our discussion and provide constructive feedback. Here’s a list of additional changes made across our repositories. That covers our development updates for this week. If you have any questions regarding recent or upcoming changes you can contact us via our support channel, forum or github. In order to stay up to date with our progress subscribe to our newsletter at the bottom of this page and receive weekly updates via email.